Two key investment merits for the REIT - its ability to tap its sponsor's Australian development pipeline, and a favourable Australian industrial market. 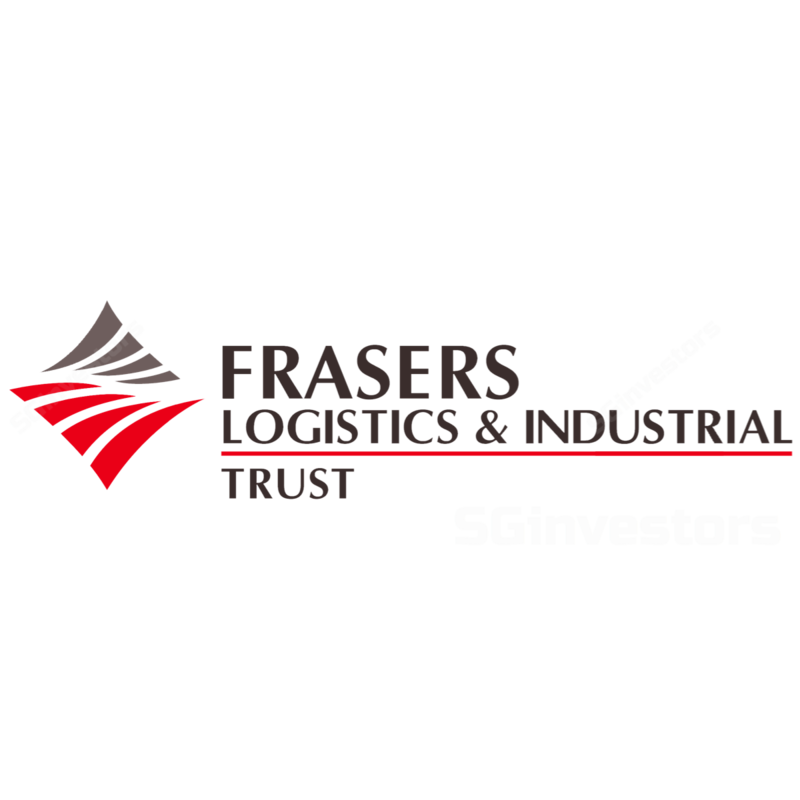 We believe Frasers Logistics & Industrial Trust (FLT) could maintain an acquisition rate of A$150m-200m over the next two years (FY9/18F-19F). Incorporating this would lift our Target Price to S$1.23. Our desktop research found the Australian industrials remaining firmly in an up-cycle. We incorporate FLT’s first portfolio acquisition and the accompanying equity fund raising into our model, resulting in 2.8-4.6% increase in FY18F-19F DPU. Maintain Add with a higher Target Price of S$1.20. Portfolio cap rate compression could be a potential near-term re-rating catalyst. Frasers Logistics & Industrial Trust (FLT)’s ability to tap Frasers Centrepoint Limited (FCL)'s Australian development pipeline (via FPA), and a favourable Australian industrial market are two key investment merits for the REIT. This is especially as there is an increasingly low availability of prime assets in Australia, mopped by capital chasing core assets. This puts FLT at an advantage vs. the other S-REITs which are diversifying into Australia. Further, its maiden portfolio acquisition of seven properties (mix of completed and development assets) demonstrates strong sponsor commitment. Given FPA’s development pipeline of A$850m (based on completed value), we believe FLT could maintain an acquisition rate of A$150m-200m over the next two years. If we were to incorporate this, we would derive a DDM-based TP of S$1.23. Thinking longer term ( > three years), as Australian property market peaks and contingent on market cycles, we cannot exclude the possibility that FLT could acquire European assets from Geneba Properties, FCL’s newly acquired European logistics and industrials platform. Our desktop research found the Australian industrials remaining firmly in an up-cycle. We highlight some of the metrics tracked by Knight Frank which include vacancy, take-up and average letting up period. These metrics all point to an “up”. In summary, Sydney remains the strongest market, thanks to limited available space and strong economic activity. Melbourne is also benefiting from good demand and population growth. Brisbane remains challenging but the worst is likely over, in our view. We incorporate FLT’s first portfolio acquisition of seven properties (valued at A$169.3m or initial portfolio yield of 6.41%) as well as the accompanying equity fund raising (private placement of 78m new units at S$1.01/unit) into our earnings model. To reiterate, we view the portfolio acquisition positively given the quality characteristics (long WALE of 9.6 years, 100% take-up) as well as the evident sponsor commitment. Along with our DPU upgrade and the rolling forward of our DDM valuation, our target price is raised from S$1.10 to S$1.20. We maintain our Add rating, projecting total returns of 17% for FY18F (upside of 10.3% + FY18F yield of 6.7%). FLT is due to report its 4QFY17 results before trading hours on 2 Nov 2017. Nearer-term re-rating catalysts could be portfolio cap rate compression. We believe FLT's operations would remain steady. Downside risk could be an unexpected downturn in Australian industrials. Completed portfolio acquisition of seven properties. We incorporate FLT’s first portfolio acquisition of seven properties (valued at A$169.3m or initial portfolio yield of 6.41%; total consideration of A$197.6m) as well as the accompanying equity fund raising (private placement of 78m new units at S$1.01/unit) into our earnings model. The entire transaction was funded through c.41% equity and c.59% debt. We have assumed 3% cost of borrowings to fund this acquisition vs. current portfolio cost of debt of 2.8%. Post-completion, we estimate that aggregate leverage would increase to 32.2% as at end-FY17F (end-3Q17F: 29.3%). In view of the acquisition, we lower our FY17F DPU by 0.8% (mainly due to timing difference between the equity fund raising and contributions from the acquisition) and raise our FY18F-19F by 2.8-4.6%. With two of the seven properties scheduled to be completed in FY18F, the full-year contribution of this portfolio of seven properties would only be felt in FY19F. With the inorganic boost, we point out that the yoy DPU growth rate of FLT would be lifted to 7.1% for FY18F (prev. 3.4%) and 4.3% for FY19F (prev.2.5%). To reiterate, we view the portfolio acquisition positively as the properties’ characteristics would strengthen FLT’s portfolio. The assets are predominately freehold and modern, with an average age of 2.4 years. Four of the properties are well-located in the state of Victoria, two in New South Wales and one in Queensland. The acquisition would increase FLT’s portfolio value by 9.7% to A$1.91bn and would enlarge portfolio gross lettable area (GLA) by 10.1% to 1.35m sqm. The properties are fully-leased or 100% pre-committed. Leases of the new properties have annual step-ups averaging 3.1%, consistent with existing portfolio’s annual rental escalation. Underpinned by long weighted average lease expiry (WALE) of 9.6 years, the acquisition would increase portfolio WALE from 6.7 years to 6.9 years. Secondly, we view the acquisition as a demonstration of strong sponsor commitment and highlights FLT’s advantage of having a sponsor with an end-to-end development platform (via FPA) in Australia. Mopped by capital chasing core assets, there is an increasingly low availability of prime assets in Australia. However, FLT is able to tap FPA’s industrial development pipeline to pursue inorganic growth. This puts it at an advantage vs. the other S-REITs which are diversifying into Australia. Additionally, the acquisition of a mix of development and completed properties showcases FLT’s ability to cherry-pick its sponsor’s assets, in our view. The sponsor could have arguably seek higher development margins by only selling completed assets to the REIT. To augment our point, these assets were already near completion. Lastly, FLT would receive coupons on initial payment equivalent to the NPI yield during development. FLT is due to report its 4QFY17 results before trading hours on 2 Nov 2017. We expect 4QFY17F DPU of 1.57 Scts (-10.2% qoq), underpinned by stable operations. As mentioned above, the quarterly drop would mainly be due to timing difference between the equity fund raising and contributions from the acquisition. Otherwise, we expect operating metrics to remain stable. We expect portfolio occupancy to remain almost full at 99.3%, with only one asset in Perth not filled (60 Paltridge Road). In line with its quarterly trend, we expect a weighted average negative rental reversion for its lease renewals and forward renewals executed in the quarter. This is simply because FLT’s portfolio is over-rented (a function of the annual rental increments). In addition, with Australian industrials in an up-cycle, we expect some cap rate compression (in single-digits), and for FLT to report revaluation gains in 4QFY17F. We take reference from Fiona Buchanan, the Head of Research of Morgans (our Australian JV partner), who noted material valuation uplift for Industria REIT (IDR AU). Specifically, IDR’s industrial assets experienced a 23bp compression in cap rate during the quarter while its business park/suburban office assets experienced a 83bp compression. Meanwhile, over the same period, Centuria Industrial REIT (CIP AU) reported a 12bp compression in portfolio cap rate. Sydney remains the strongest market, thanks to limited available space, planned c.A$73bn worth of major infrastructure works for New South Wales and strong economic activity. According to Knight Frank, the total available stock in 2Q17 reached its lowest level on record of 314.5k sqm (-20.5% qoq, -35% yoy). Gross take-up during the quarter to Jul 2017 also reached a 12-month high of 237.5k sqm, up 35% qoq. While Sydney is experiencing speculative developments, they have been well-received, with an average letting up period Brisbane remains challenging but the worst is likely over, in our view. Brisbane industrial vacancy fell 6% qoq in 2Q17 to 565.9k sqm. However, the improvement was driven by the prime market (down 19% qoq) while vacancy in secondary market increased 6% qoq. Gross take-up at 2Q17 remained above average level, at 116.1k sqm, consolidating the record in 1Q17. Despite 24% reduction in total vacancy in 1H17, letting up period remains lengthy, averaging 18.4 months. Nonetheless, the recent uplift in demand would give some confidence to owners of long-term vacancies, in our view. Along with our DPU upgrade and the rolling forward of our DDM valuation, our target price is raised from S$1.10 to S$1.20. We also tweak our Australian discount rate very slightly as the Reserve Bank of Australia (RBA) has maintained cash rate at a historical low of 1.5%. We maintain our Add rating, projecting total returns of 17% for FY18F (upside of 10.3% + FY18F yield of 6.7%). Prior to the acquisition of the seven properties, FLT’s unit price performance had broadly tracked the FSTREI. Post-acquisition, FLT has slightly outpaced the REIT index though we think there is still room for further upside, to our target price. We believe FLT's unit price would climb alongside its DPU growth. In the nearer term, we believe revaluation gains could catalyse the REIT. Downside risk stem from unexpected downturn in Australian industrials. Further out, we view FLT’s ability to tap its sponsor’s Australian development pipeline (via FPA), and a favourable Australian industrial market as two key investment merits for the REIT. Given FPA’s development pipeline of A$850m (based on completed value), we believe FLT could maintain an acquisition rate in the range of A$150m-250m over the next two years. If we were to factor in acquisitions of A$150m p.a. for FY18F and FY19F, and acquisition NPI yield of 6.5%, funded by 40% equity and 60% debt (where we assume new equity issuance of S$1.05/unit and funding costs of 3% p.a. ), our 2- year DPU CAGR through FY19F would be lifted to 5.8% (prev. 5.7%). Consequently, our DDM-based Target Price would be lifted to S$1.23. Thinking longer term ( > three years), as Australian property market peaks, and contingent on market cycles, we cannot exclude the possibility that FLT could acquire European assets from Geneba Properties. We note that FLT’s investment mandate allows the REIT to invest in logistics or industrial assets located globally. To recap, Frasers Centrepoint Limited (FCL) acquired Geneba Properties, an European logistics and industrials platform, in Jul this year. As at end-Jun 2017, the company owns and manages a property portfolio of c.€556m AUM, with WALE of 9.2 years and portfolio occupancy of 98%. That said, we believe FLT would not seek to acquire assets from its sponsor's associate, Thai industrial developer TICON Industrial Connection (TICON TB, NR). Firstly, the cap on foreign ownership in Thai assets could limit scale. Secondly, we note that TICON is a sponsor of TICON Freehold & Leasehold REIT (TREIT TB, NR), and would naturally inject its assets into that vehicle. Based on Singapore dollar-distributions, FLT is trading at 6.7% FY18F yield. It is also trading 1.18x current P/BV. We note that Centuria Industrial REIT (CIP AU), which we deem as FLT’s most direct comparable (simply because it is the only A-REIT which offers pure exposure to Australian industrials), is trading at 7.7% FY18F yield. We believe FLT should trade at a premium against CIP, given CIP’s smaller market cap and older assets with relatively lower attributes. As at end-Jun 2017, CIP has a shorter WALE of 4.4 years (vs. FLT’s 6.7 years) and lower portfolio occupancy of 92.1% (vs. FLT’s 99.3%). Underpinned by its business par/sub-urban office assets, Industria REIT (IDR AU) trades at a similar yield as FLT. It is supported by WALE of 7.6 years and occupancy of 95%. However, as FLT’s AUM of A$1.91bn dwarfs that of IDR’s (A$638m), we ultimately view that FLT is the best proxy to the Australian industrials market.